Your vehicle’s exhaust system needs to protect us all from harmful toxins and fumes. Carmedix is the solution to any failed emissions test or poorly functioning mufflers. Let us thoroughly inspect and diagnose all of your exhaust system’s components. Pay attention to the performance issues and bring them to us for an effective, affordable, and efficient exhaust repair. If there are abnormal noises–like rumblings and vibrations–coming from your exhaust pipe, act fast. As with any automotive repair, timing is most important. Failing to get professional attention for your exhaust system may lead to extensive and expensive engine repair needs. Our exhaust repair specialists will handle any catalytic converter needs that you may have. We’re experienced at identifying and fixing all symptoms of catalytic converter, exhaust pipe, and muffler performance issues. The first group of people affected by your exhaust emissions will be you and your fellow passengers. A properly functioning exhaust system will keep toxins out of your vehicle’s cabin. Protect your vehicle’s cabin and the environment from emissions that do not meet the State of North Carolina’s standards. Maintaining a healthy exhaust system is the responsibility of every vehicle owner. It’s not necessary to wait until the annual mandatory emissions test to correct any problem. Bring us an exhaust system performance issue at any time. If your vehicle has not passed its emissions test, you can schedule an appointment with our team who’ll handle its correction for you. Get your vehicle ready for the road and ready for registration with an exhaust repair service. As our technicians protect your vehicle, we’ll also protect your community from an accumulation of toxic fumes. Our team is also able to provide the exceptional sounding and performing exhaust that you need for your car, truck, or SUV. 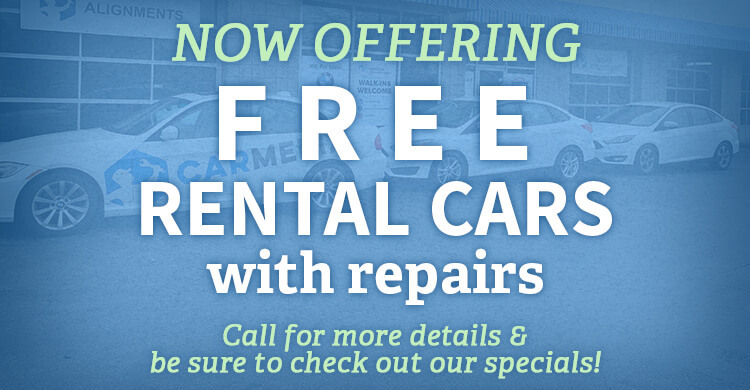 Bring your vehicle to the exhaust repair specialists at Carmedix. As soon as you notice a performance issue with your muffler, fail an emissions test, have a check engine light, or any other problem with the exhaust system, let our team have a look. Part of your vehicle’s personality is the sound of the exhaust. 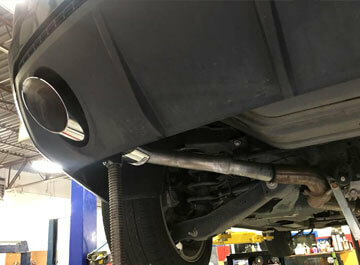 Our experts know how to increase or decrease the volume of your car or truck’s exhaust system. Whether you want your truck to have an aggressive roar, or your car to have a smooth purr, we know how to give you exactly what you’re looking for. Give us a call today at 984-888-0791 to schedule your exhaust repair service. You can save time by scheduling your appointment right now using our convenient online scheduling system. Next time you’re in the area–2105 NC-54 #5–feel free to stop by! We gladly accept all of our walk-in customers.